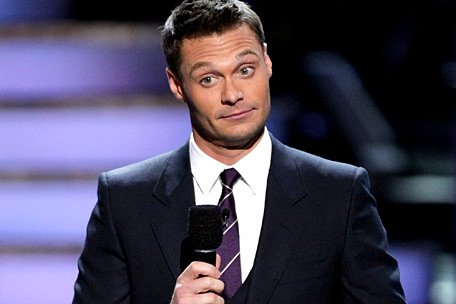 Have you ever wondered why Mr. Seacrest gets paid $15 million a year for his duties as the host of American Idol? Well, it has finally been explained by Nigel Lythgoe. According to the producer of the show, Seacrest is they key to the show, the person who controls the entire program, and pretty much the guy who gives the orders. You see, Ryan doesn’t go on stage with an earpiece so people backstage can direct him on what he needs to do, he simply does his job so well that when he sees that a judge is not ready to have the camera put on them (or perhaps have a stylist sort out a malfunction problem), Ryan gives hand gestures and blabbers on so that cameramen react to his actions and follow his every move. Lythgoe also talked about having heard of all these stories that the franchise was going to die out if Simon Cowell left, yet it still happens to be one of the most-watched shows in the States attracting up to 18 million viewers every week. According to Nigel, he doesn’t believe that no one (except for Ryan, maybe) can’t be replace on the show, stating that the dynamic of the program is what has it stay as popular as it is. American Idol continues tonight on FOX! Jenelle Evans Pregnant With Second Child–Will She Lose Custody Again?